Smokey the Beer - Lamplighter Brewing Co.
A smoky, amber Rauchbier brewed in collaboration with Brato Brewhouse + Kitchen. 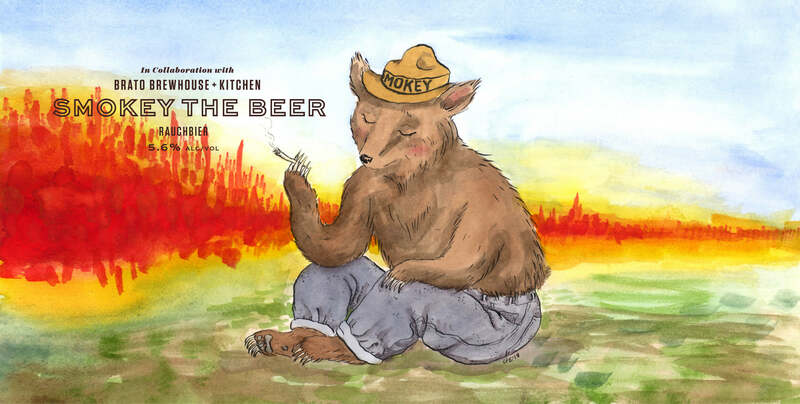 Smokey the Beer is a Rauchbier brewed in collaboration with our friends from Brato Brewhouse + Kitchen (Boston, MA). On the nose, a familiar campfire scent is enriched by light aromas of grilled pear and grape must, emphasizing sweet wood character without any trace of char. Pale amber in color and especially smooth, this lager’s lightly smoky flavor is derived from Beechwood and Cherrywood smoked malts.